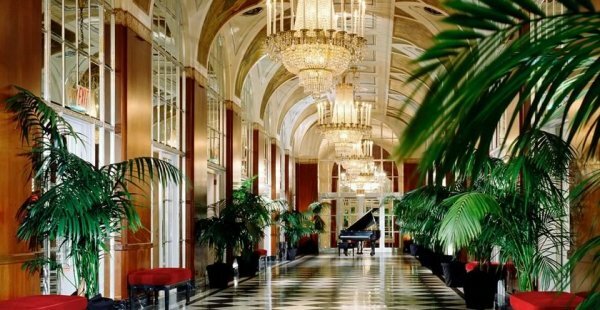 As one of the first ‘grand hotels’ to combine elegance with luxurious amenities and services, The Waldorf Astoria New York has been world renowned for over a century. 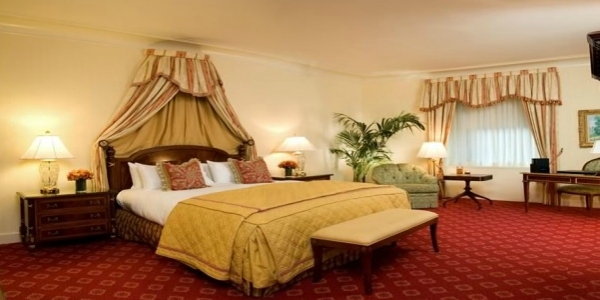 For our guests’ convenience, we offer luxurious guest rooms and select, spacious suites. Cheerful bedrooms, oversized marble bathrooms and original Art Deco motifs give our rooms a delightful residential ambience. The Waldorf stands as a unique dining destination, with four distinctive restaurants, three lounges, and of course, 24-hour room service. Superior hotel amenities and services include booking privileges at the incomparable Guerlain Spa at the Waldorf Astoria. Hotel guests are encouraged to explore the hotel, a New York City landmark, considered an extraordinary living Art Deco museum. We are dedicated to the elegant service traditions of the world’s grand hotels. We hope to do everything in our power to ensure your future experience here is delightfully memorable. Every pampering experience at the Guerlain Spa is transformed into a unique and personal occasion, performed with expertise and exceptional virtuosity, setting a tone of instant tranquility and creating a journey of personal transformation. Our Aestheticians begin each treatment with a systematic analysis and precise skin diagnosis to reveal your individual beauty and well-being profile. They gain understanding of your essential concerns to tailor a treatment according to your needs and your expectations. Such signature touches epitomize the refinement of Guerlain, with attention paid to the smallest detail, enriching each treatment and creating an exceptional experience enhanced by the stunning setting of the Guerlain Spa at the Waldorf Astoria New York Hotel. The fitness center located on the 19th floor adjacent to the Guerlain Spa features great views of Park Avenue and state-of-the-art equipment and facilities. The modern facility provides an intimate setting. Towers guests enjoy 24-hour complimentary access and are provided with workout attire, fresh towels, changing areas, and water bottles. Personal training available upon request. With over a century of experience hosting state dinners, confidential board meetings, New York City meetings and major corporate announcements, The Waldorf Astoria has achieved an incomparable reputation for gracious hospitality and excellent service standards. Further enhancing this stature are its multi-million dollar technological capabilities, including direct-link satellite broadcasting and ultra-high-speed Internet access to support real-time videoconferencing. The grandly proportioned venues of this luxury New York hotel provide the perfect setting for large meetings, which are accorded a regal measure of attention by the hotel’s professional service personnel. From the moment an inquiry is made, the Sales team works closely with the client, providing detailed information and organizing site visits to help them visualize their event. Final orchestration is assigned to a Meetings and Conventions Manager, who becomes the communications hub for the event, coordinating the efforts of other departments in the hotel. Every detail, from designing room layouts to facilitating technical arrangements, is scrutinized to ensure seamless integration and total customer satisfaction. Small meetings receive all the attention of larger gatherings at The Waldorf Astoria New York, including the hotel’s cutting-edge technology and distinctively appointed conference rooms, which can accommodate meetings for up to 100 delegates. Each meeting also enjoys the services of a dedicated Conference Sales Manager, who personally attends to every detail. The hotel’s fourth floor venues have long been a prime location for board meetings and confidential presentations. The Executive Meeting Center, occupying the entire 18th floor with 8,000 sq. ft. of meeting space, features 13 adjoining rooms with breathtaking cityscape and river views. For our guests’ convenience, we offer luxurious guestrooms and select, spacious suites. All guest accommodations feature marble bathrooms, wired and wireless high-speed Internet access, and flat-screen televisions with premium cable and international channels. For a true luxurious experience, the Waldorf Towers, located on the uppermost floors of the Waldorf Astoria, provides a collection of distinctive guest rooms and suites. Gracious touches such as fine antiques and individual décor create an inviting residential appeal. A separate entrance on 50th street enhances privacy and fast check-in. At the Waldorf Towers, guests enjoy premium amenities and services, complimentary access to the Astoria Lounge for Continental breakfast. Sophisticated in design and proportion, our luxurious accommodations are a collection of generous sized rooms, some with spacious sitting areas or separate boudoirs. They offer additional room and feature all Deluxe and Superior amenities. The Waldorf Towers, our legendary residential-style hotel, projects the marriage of impeccable service and opulent suites. The grandeur of this boutique New York hotel is evident in every detail from the discreet entrance off 50th street to the private elevators. As you are escorted toward your private room, classic photography captures images of your predecessors in residence; Royalty, Celebrities and Presidents adorn the corridor. Create your own Waldorf moment. Individually and uniquely designed with the look and feel of a grand European apartment, these Premier Suites are among New York’s most sought-after suites. High ceilings, antique furniture, and architectural embellishments combine with the latest technologies to create a worldly yet welcoming ambience. These luxurious apartments are among New York’s most gracious and well-proportioned suites. Individually decorated and appointed to invite both lavish entertaining and private comfort, each spacious suite combines historic splendor with the latest technologies. These elegantly appointed apartments have hosted some of the world’s most noteworthy figures and significant events. Our collection of Historic Suites includes the Royal Suite, former home to the Duke and Duchess of Windsor and The Presidential Suite, which has hosted every US President since Herbert Hoover. The art of cuisine is practiced with complexity and panache at The Waldorf Astoria; the hotel provides unique restaurants, bars, lounges and custom catering for private events and meetings. Inspired by the grand social promenade that connected the original Waldorf and Astoria hotels, Peacock Alley today creates an environment in which “to see and be seen.” The restaurant is located in the heart of the bustling main lobby and features a bar, a discreet lounge, and a private dining salon. Pairing a classic and convivial ambience, Peacock Alley offers to our guests and New Yorkers Power Breakfast, an a la carte lunch menu, a distinctive dinner of small plates and traditional selections, and a sumptuous Sunday brunch. Dress Attire: Business, chic and elegant attire. Private Parties – Peacock Alley presents a unique opportunity to dine in style at a Manhattan luxury hotel, as it enables hosts to orchestrate a personalized and private tasting dinner where their guests embark on an epicurean journey. The private dining rooms are favored for wine-tasting events, wedding receptions, and high-profile corporate functions. The 1,700 square feet venue accommodates 10 to 120 guests for banquets; up to 250 guests for a cocktail reception. Please call our Hospitality Sales Desk at (212)-872-4942 or email us for more information. One of the most historic and well-recognized bars in New York City, this celebrated steakhouse offers signature chops with Prime Angus steaks as well as seafood. Oscar’s Brasserie Named for Oscar Tschirky, the maitre d’ who defined the concept of epicurean public dining, Oscar’s is the place to start the day right of. The venue is open for breakfast and lunch and engages diners with Waldorf-invented favorites such as Eggs Benedict and Waldorf Salad as well as bold and bountiful newcomers and overflowing salads. Monday-Friday, 7:00 a.m. to 12:00 a.m.
Saturday, 2:30 p.m. to 12:00 a.m.
Sunday, 10:00 p.m. to 8:00 p.m. The legendary mahogany bar at Bull and Bear has been cited by The New York Times as one of the world’s three greatest. This is THE place where Market Movers Trade Tales Over the City’s Best Martini. Named for a legendary explorer, Sir Harry’s is a clubby and companionable Manhattan mainstay where friends unwind with premium libations such as the in-house invented Rob Roy or Waldorf Sunset. Located just off the main lobby, the lounge offers traditional club ambiance with an elegant bar and seating around checkerboard tables. Monday – Closed Tuesday – Friday 5:00 p.m. – 2:00 a.m.
Saturday – Sunday 1:00 p.m. – 02:00 a.m.